For Fairtrade Fortnight 2007 we held a Fairtrade Treasure Hunt. 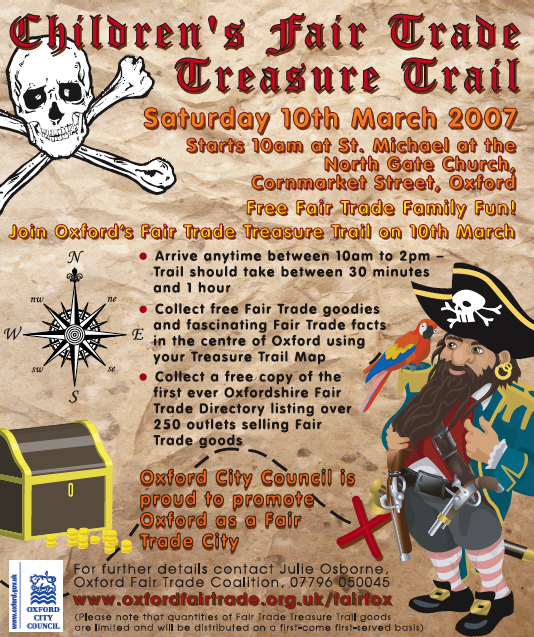 The treasure trail was also featured in this Oxford Mail Advert. This entry was posted on Saturday, March 10th, 2007 at 11:00 am and is filed under Fairtrade Fortnight, History, Publicity. You can follow any responses to this entry through the RSS 2.0 feed. You can leave a response, or trackback from your own site.